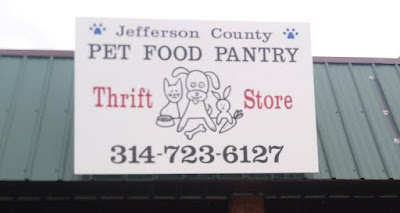 Jefferson County Pet Food Pantry : Pet Food Distribution, Spay/Neuter Sign Up 4/23, 10-1. Pet Food Distribution, Spay/Neuter Sign Up 4/23, 10-1. This Sunday (April 23rd) from 10 am – 1 pm, is our pet food distribution, spay/neuter sign-up. 5702 Old HWY 21 (Old State Route 21), Imperial MO 63052. South of HWY M in the Otto Plaza across from Dollar General. 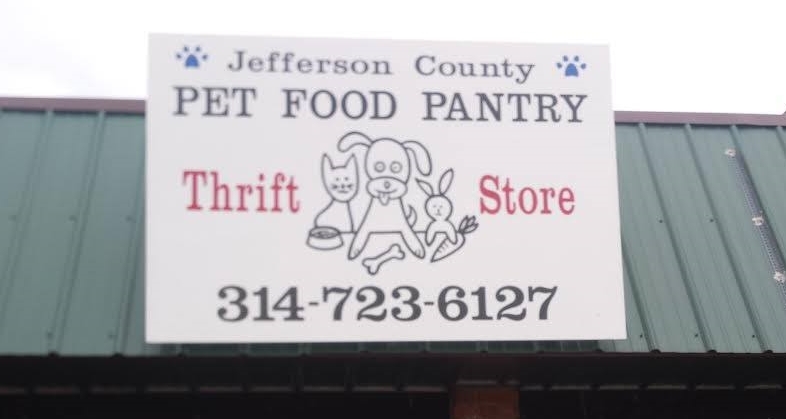 If you (or someone you know) are having financial difficulties and need help feeding, getting pets fixed or both, please come visit us? 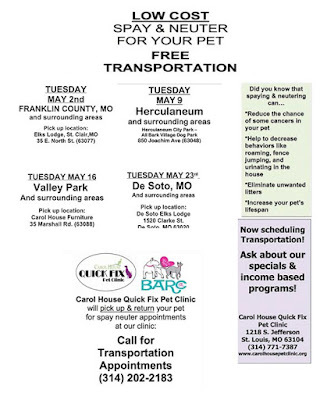 We will provide you with one month’s worth of pet food, FREE spay/neuter and FREE transportation (thanks to our friends at barcstl.org and Carol House Quick Fix Pet Clinic). We also, have treats, collars, bowls, leashes and most anything else you might need.